When Pandora is warned by her mother not to open a box, her spirited curiosity trumps her obedience. Pandora harmlessly touches the box, innocently leans on the box, and eventually, albeit accidentally, bursts the box open! The cupcakes that were hidden inside are ruined, except for one last vestige, which Pandora presents in the hope that her mother still loves her. 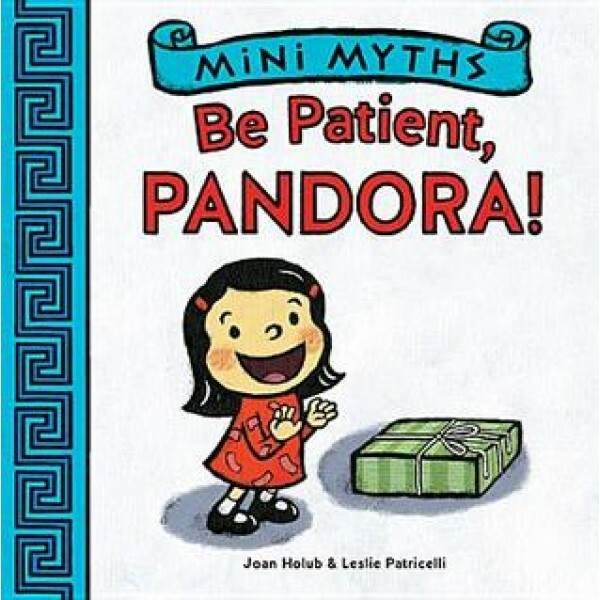 Leslie Patricelli's depictions of this physical comedy bring a lively narrative to Joan Holub's carefully crafted text. Includes a summary of the original Pandora's Box myth at the end.